The problem is putting Elementary after the sports shows on Sunday push it so much later. It affects NCIS LA, and also Madam Secretary along with Elementary. It did so much better on a different night. Elementary is a great show. Please don’t cancel it. I agree that because of all the different sports shows that run over Elementary pays a price. Please give it another try…maybe another time slot. It’s such a great show. Please renew the wonderful show…we need a sixth season. Lets go CBS, listen to your viewers & fans of elementary. JUST DO IT! I look forward to seeing this program each week. I record and keep them for reviewing. I pay attention to the ads so i can “repay” the sponsors. PLEASE renew this outstanding series. I still watch, but I think it’s run its course. Agreed. Season 1 was exciting, Season 2 wasn’t too bad. And then it just got boring. Yes, but it needs to draw in a romantic edge between Sherlock and Holmes. I think Elementary has been very well done but it does seem to lack the spice a good hint of romance stirs. It isn’t always about solving the crime but the passion in the personities. Then I would market the heck out of it! Most people loose interest in the shows during long lapses of time. Stir a summer build up for an all new season 6. I dropped Elementary off my watch list a season or two back, so it won’t mattwer to me either way. 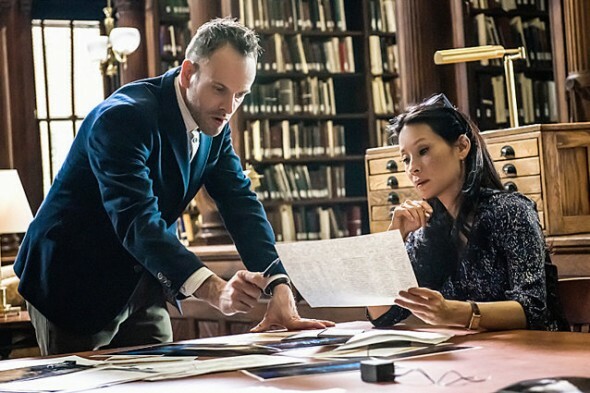 Elementary is bar far one of the most intelligent and creative shows currenrly offered on network television and it is my hope that it will be renewed. I look forward to Elementary every week! Do NOT cancel this show. great show. I look forward every Sunday for it to come on. will miss it very much if you chop it. acting is realistic and well done. you have other programs that are less entertaining that you can chop. LEAVE THIS ON THE AIR. Please renew Elementary, love this series. PLEASE RENEW IT!! I NEED IT!!! PLEASE! I’ve watched EVERY episode, btw, I wish there were more episodes per season. Again, I BEG YOU. PLEASE RENEW IT. How about changing it to a different time and/or day? Or do a re-run a couple days after. “Elementary fans’ schedules could be more susceptible to a rerun! Please renew!!! The whole “viewership ratings” system always frustrates me. I doubt networks pay attention to whether or morning I am specifically watching a show or not. Anyways- Elementary deserves another season- witty, clever, and super creative characters. I wouldn’t love to see Moriarty return, as that would help with some storyline gaps! YES, RENEW IT!! i will watch it as long as you have it on the air!! My DVR is set to record it “Any Day, Any Time” so you can’t lose me…but by putting it in the timeslot where it is likely to start late or be bumped altogether is costing you the viewers who do not have DVRs. Is that your purpose? Kill the ratings, then dump it for losing its audience? DON’T DO THIS!! RENEW IT, PUT IT WHERE PEOPLE ACTUALLY CAN WATCH IT!!! please don’t cancel the show .it’s the only show I watch on cbs. I have fervently watched another show on tv which is in it’s 10th plus years, now I’m watching elementary and to me it’s twice as good in every aspect as the above show. And you’re asking should we cancel or continue???? For heaven’s sake get REAL. The moral here is: Great shows deserve respect not foolhardy skepticism.